A Trust can achieve many purposes; avoiding probate and legal battles, lowering estate and/or income taxes and protecting privacy. Trusts are not the best solution in all cases, and it’s important to carefully weigh the benefits and potential drawbacks. The desire to ensure that an heir is provided for financially is the most common reason for creating a Trust. In the case of minors, a trust allows a parent to provide for a child without giving the child control over the property. The parent can also mandate how the property is to be distributed and for what purposes. A trust is also a useful tool for taking care of heirs who have mental impairments or lack investment experience. The trust document can establish that all money is controlled by a trustee with sound investment experience and judgment. Likewise, a trust can preserve assets when the recipient has a history of poor spending or invest habits. 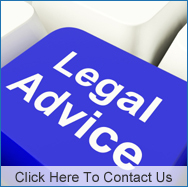 It can protect the assets from an heirs poor choices, and even from judgments and other collection action. A “spendthrift” provision in a Living Trust is often used to further preserve the integrity of assets. It prohibits the heir from transferring his or her interest and also bars creditors from reaching into the trust. Living Trusts are relatively easy to update, modify or revoke in most cases. A Trust established by a Will is a testamentary Trust, and can accomplish all of the purposes discussed above.